As we reflect on the past year (and enthusiastically dive into 2016), we love doing a yearly roundup of our most trafficked blog posts, both as a fun exercise and a way to see what content performed the best! 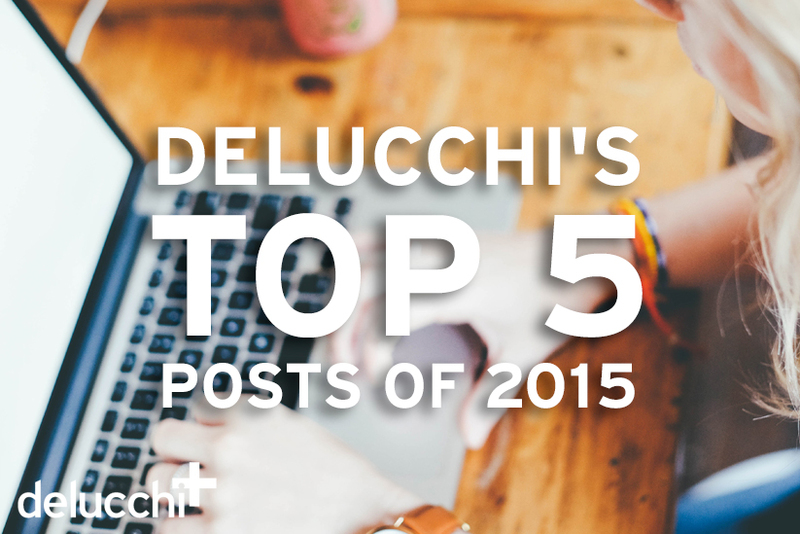 Below, we’ve gathered the top five most-read Delucchi Plus blog posts of 2015: Enjoy! Digital Analyst Manager Jonathan’s take on the various pitfalls of Google’s Knowledge Graph takes the big prize home this year! This article, The Problem With Google’s Knowledge Graph, identifies a couple of key weaknesses is Google’s seemingly all-powerful algorithm. Click through to learn why the Google Knowledge Graph isn’t always 100% accurate (and to restore your faith in humankind’s chances of winning the forthcoming battle between people and the machines). After our latest round of hires, we decided to address some of the most important things that we look for when reviewing applications. In our roundup, How to Apply for an Agency Job, we list a couple of key features that any and all applicants should pay attention to! Whether you’re applying for an internship or a C-suite position, we think these tips will ensure a creative, interesting and eye-catching application. Staying ahead of the underground coffee trends is a Herculean effort! Luckily, our Resident Cool Person, Riley, examines the white-hot hit of cold brew coffee in her article, The Cold Brew Coffee Craze: When Big Brands Go Indie. Learn about the stunning growth of cold brew coffee (sales of which shot up to 115% from 2014 to 2015), how big brands are trying to retain local street cred, and a little bit about the future of America’s favorite caffeine delivery system. Meet Gogoro, a motor scooter that critics are raving about and a product that’s poised to usher in a new age of personal transportation. Digitally integrated and rechargeable, this ain’t your grandma’s moped. Learn how Gogoro, The Tesla of Scooters, is aiming to bring mopeds/scooters into the digital age. DC-based, fast-casual salad eatery Sweetgreen has a truly impressive and highly effective brand strategy. From consistent messaging, and an aligned brand voice to symbiotic local partnerships and more, learn How Sweetgreen Hit the Branding Sweet Spot.